Advanced Disposal recognizes the unique skill sets that veterans bring to the workforce. That is why we have place an emphasis on hiring qualified veterans into our ranks. 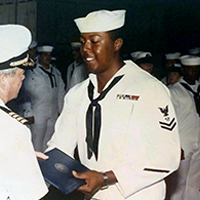 We strongly believe that veterans make us a better company. Read on to learn more about our programs and benefits. We are honored to already employ Veterans and are looking to have even more join our team! Are you a veteran and interested in a new career? Apply today and let’s work together to apply your military skills to serving our customers. WHEN ITS TIME COMES, WE RETIRE IT WITH RESPECT. Old Glory—long may it wave. 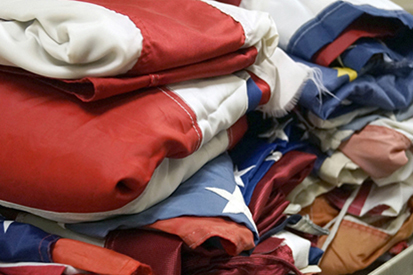 All U.S. flags one day reach the end of their useful lives. And when that happens, Advanced Disposal offers free retirement services in accordance with the U.S. 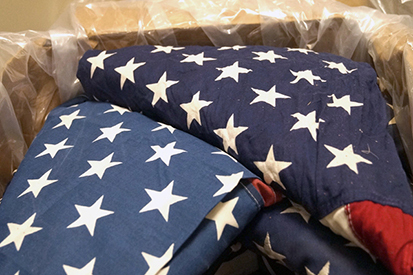 Flag Code. At Advanced Disposal, we are proud to fly the stars and stripes. And we promise to treat all flags with all the honor and dignity they deserve. 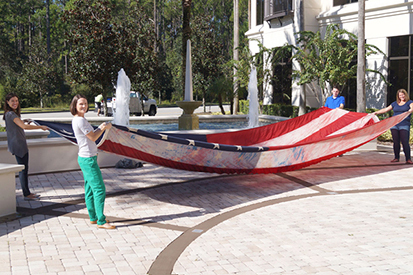 We take pride in offering our communities a service to retire flags with honor and dignity. Because our team members take good care of the environment, we take good care of them. 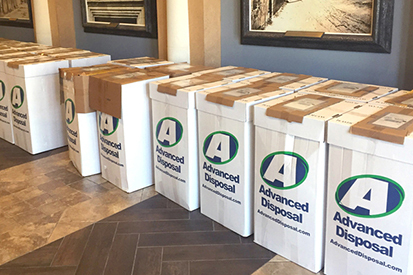 Advanced Disposal offers a comprehensive health and welfare plan to all of its full-time (30+ hours/week) team members. This plan includes major medical, dental, vision, life, supplemental life, spouse life, child life, a Team Member Assistance Program (EAP), voluntary worksite benefits and a qualified retirement plan (401k). Our goal is to attract and maintain a highly competent and fairly compensated workforce. I have been with Advanced Disposal for 4 years. I like it here because we have good management and good pay. We have really good staff who take care of their drivers and look out for their people. They push you to do better and move up in the company. You can go as far as you want, however you want to do it. You just have to have the drive, the will and the motivation.